I had a quick solo mom adventure in Klerksdorp this weekend. Why Klerksdorp? Well, why not...?! It's a short(ish) three-hour drive from Kimberley and it has both a parkrun and a Kauai... What more does one need, right? Family logistics meant that I could only leave Kimberley on Saturday morning, which, in theory, should have worked fine. Klerksdorp parkrun only starts at 08:00 a.m., which left a generous four hour-buffer to get to the starting line if I left at 04:00 a.m. But, as my dear husband would tactfully point out, I stink at night-time driving. Little old ladies pass me and growl - I know, I'm ashamed. 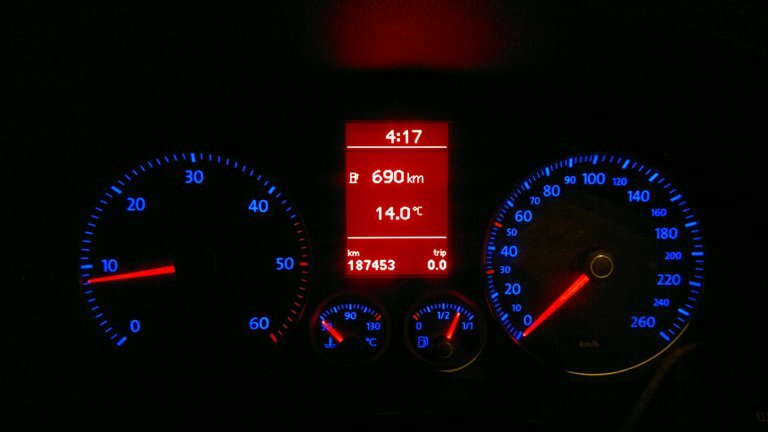 Yet here I am: The slowest night-time driver on the face of the planet. It should come as no surprise to you then that the four-hour buffer was not enough. A gazillion trucks and one bathroom stop later, and I found myself feverishly searching for Von Wielligh Avenue in Klerksdorp - without a GPS - at 07:59 a.m. Sigh. I could feel the dream of completing ten different parkruns slipping, but just as I was about to give up, Von Wielligh Avenue came into sight. Sela. I parked the car, grabbed my cap and sunglasses, and sprinted towards the starting line, which must have been a good few hundred metres away. I tied my hair in a ponytail as I ran, plopped up my cap and glasses, and set off at 08:14, as most of the parkrunners were already setting off on the second of their two 2.5 km laps. The route was lovely: It's fast, flat and open - something that the Freestater in me loved. Just like our local parkrun, it certainly isn't the most scenic one of all, but wide gravel and paved roads meant that there were zero bottlenecks - even for runners catching up with walkers on their second lap. A PB route for sure. My attire, on the other hand, was a disaster: After a kilometre or two I realised that half of my hairdo was flapping wildly in the wind - I failed to tie a proper ponytail. And my jacket, which I tied to my waist on the run, had a car key in one pocket and a pair of gloves in the other - a clanging, swinging distraction. Ugh. In the rush to get to the venue, I (obviously) also forgot to start my Garmin, but, having started at 08:14-ish and finished at 08:38, ran around 24-something. My official parkrun time is, however, the only one that counts: 38:57. 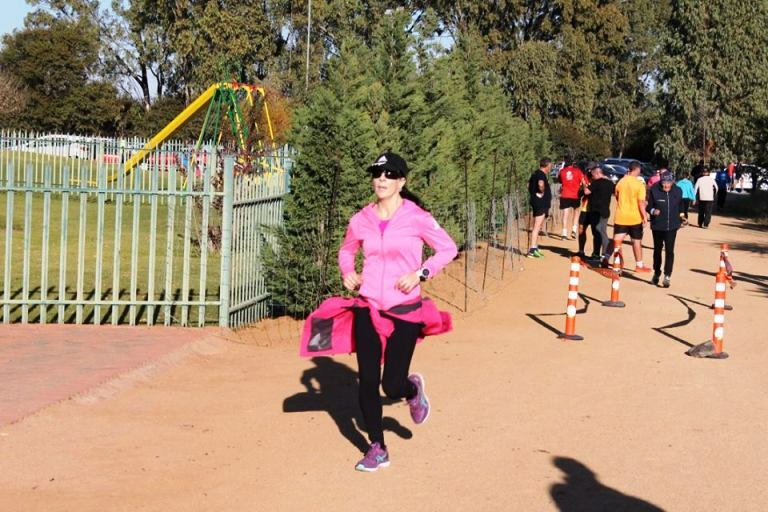 So, flapping or no flapping, that's ten parkrun SA venues in the bag - wahoo! 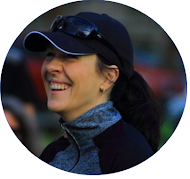 I admire your accomplishment of 10 different parkruns under difficult circumstances, thank you for sharing! Amazing! I can't believe you got up at 4am for a park run! thats determination! well done! I hate being late for a run, especially one in another town - I'm usually one of the first nerds to arrive... ;) Lesson learned! You rock gal! Lsrien you are an inspiration to us all! Thank you for everything you do for Parkrun Kimberley! Thanks so much for your kind words, June - much appreciated!